Emoji 6.0 is starting development, and initial drafts of the specification and data files are available. In the specification and data, a new property is added that helps to “future-proof” segmentation for emoji. The specification also contains more proposed guidelines: for gender-neutral emoji, the application of skin-tone modifiers, and others. There are two types of emoji: characters and sequences. While these appear and behave similarly for users, they are released on different time schedules. Emoji characters at Draft Candidate status are targeted at Unicode 11.0 (due in June 2018). These characters are “short-listed”. The Emoji Candidates chart has been updated with these characters, and feedback is solicited on names, keywords, and ordering. They will be reviewed at the October UTC meeting and are on track for Final Candidate status. Emoji sequences may be released as a part of Emoji 6.0. The exact content and release schedule of Emoji 6.0 has yet to be determined: it could appear earlier than Unicode 11.0. The Proposals for new sequences for Emoji 6.0 were presented in L2/17-287 and will be reviewed in the October UTC meeting. Other proposals may be considered at that meeting. 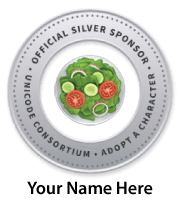 Over 100,000 characters are available for adoption, to help the Unicode Consortium’s work on digitally disadvantaged languages.